The aging of population entails a series of phenomena, among which is the reality of loneliness experienced by many elderly people. Different publications point out the relationship between loneliness and health problems, something that is translating into a lower quality of life for these people during their last years. 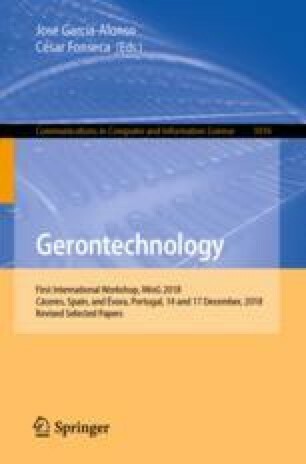 With this paper we intend to point out some important ideas about the problem of loneliness in elderly people in rural areas. For this objective, we believe it is essential that more works be developed that investigates the subjectivity of the emotional world of those who live in loneliness and that public policies develop effective actions based on this works, including technological solutions that help to alleviate this problem. This work was supported by the 4IE project (0045-4IE-4-P) funded by the Interreg V-A España-Portugal (POCTEP) 2014–2020 program.